EM-1® i is a brand name for a microbial product created in Japan over 25 years ago by Dr. Teruo Higa, professor of horticulture at the University of the Ryukyus in Okinawa, Japan. Under the guidance of EM Research Organization (EMRO), the use of EM-1® Microbial Inoculant has quickly spread to over 120 countries since its introduction in 1982. EM-1® is a soil activator and improves soil structure, organic matter management, and nutrient cycling compliments efforts to reduce reliance on synthetic fertilizers and pesticides. Establishing EM-1® in soil ultimately results in increased profitability and sustainability. The EM Agriton System® has been developed in the Netherlands over the past 20 years and was introduced to the UK & Ireland in 2005 by EM Effective Micro-organisms Limited. This system is based on coexistence and co-prosperity, exchange of information, safety, convenience, low cost, and high quality products supporting farmers to produce safe food.We take a fundamentally different approach in promoting sustainable Agriculture by focusing on the Life in the Soil and enhancing this through the use of EM-1® Effective Micro-organisms to shift soil ecosystems, aiding native microbes to flourish and improve overall soil quality. It is important to remember that EM (Effective Micro-organisms) are a living substance and need organic matter as feed, warmth, humidity and patience to proliferate. EM is best sprayed onto the soil before or during rain fall, or immediately before mechanical cultivation. This brings the bacterial culture into the depths of the soil. EM-1® is sprayed onto soil in a diluted form to accelerate the soil building process and promote beneficial microbial communities. The soil building process revolves around soil aggregate formation. Soil aggregates form as mineral and decomposed organic matter particles are bound together by microbial secretions that act as glues. Stable and well-formed soil aggregate is the key to overall soil function. EM-1® produces high levels of polysaccharides and other beneficial enzymes and organic acids that help build stable aggregate and soil structure. Increased aggregate stability prevents the pore spaces between the aggregates from collapsing during heavy, saturating rains and reduces compaction caused by machinery. Furthermore, improved soil aggregate stability reduces soil erosion and run-off. Soils are better able to absorb and retain moisture, as well as cycle nutrients. This table can be used as a basic reference. Applications will depend on the type and condition of soils, climate conditions and the type of crop. EM-1® has been used on many different soils and crops over a wide range of conditions. Results show that in most cases EM gives positive results. EM-1® is not a substitute for soil management practices. EM Technology adds a new dimension for optimising our best soil and crop practices such as crop rotations, use of composts, crop residues recycling, and biological control of pests. If used properly EM enhances soil fertility and promotes growth, flowering, fruit development and ripening in crops. It can increase crop yields and improve crop quality as well as accelerating the breakdown of organic matter from crop residues. 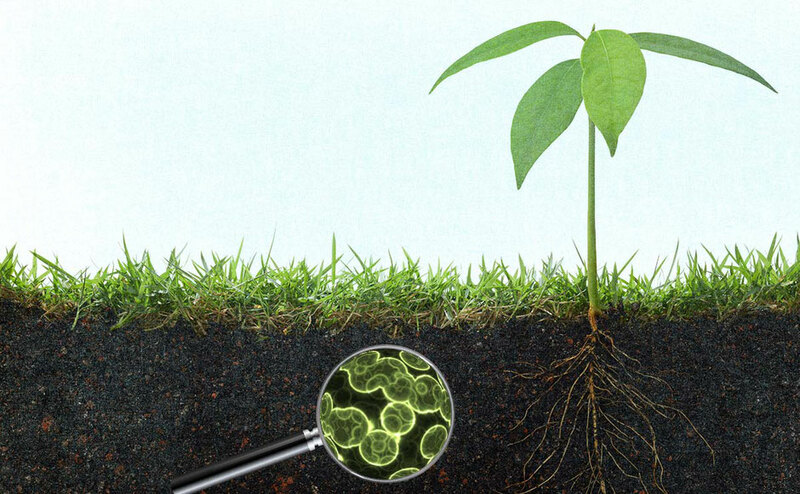 The population of “good “ bacteria (EM-1®) in the soil has a supporting effect in diminishing soil disease recurrence through competitive exclusion of disease causing microbes.